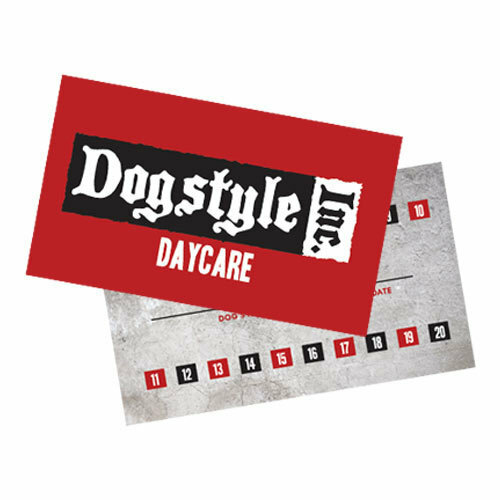 Dogstyle Inc. Daycare lets your dog enjoy the great outdoors all year long. This provides the dogs the ability to really let loose and stretch their legs all the while providing a great amount of space for them to socialize and play. We take a non-traditional approach to daycare because we don’t let dogs out together for the whole day. We separate them into groups depending on their size, age, temperament, and have them play in sessions throughout the day. We focus on quality interaction rather than quantity, successful play and socialization is our goal! Tester day is required for first time customers. Tester day is complementary if under 3 hours. A $25 fee will apply for over 3 hours.